Okay. Shiku is calm now. Why is she excited? December baby. She turns 25 on December 29th. 25! What happens when you turn 25? Sounds like an age with lots of responsibilities and expectations. We’ll see how she handles that. Also, four out of the six members of the Ngigis’ family celebrate their birthdays in December. If that is not family planning, I don’t know what is. 😉 Then there are the national and global holidays. I tend to check into places a lot on Foursquare in December too (we now do that on Swarm though). I know that because I just went through my old tweets from December 2010, for instance. Tip: It’s very easy to do so nowadays. Just go to Twitter Advanced Search, input your handle or any other, dates and you get all your tweets from the past. And then you realize there was a time we all tweeted while leaving out vowels and no one made a fuss. My colleague has been looking forward to Jamhuri day since weeks ago. I had a colleague who could not tell Madaraka Day from Jamhuri Day last year. I love Christmas carols and all their renditions. This has nothing to do with the fact that my first name is Caroline or that most people call me Carol, Kikuyus especially, because they would not make it to say Caroline right. So you can be sure that my days at work will be consist of K-Love and Radio 316 carols (if they successfully buffer on my Wi-Fi and laptop). Now you know why I love December, ever since I was a kid. Plus it was the school holiday we all looked forward to moving to another class. I was that girl who loved school. Primary school. Not so much the case when I got to high school. I would literally fall sick on the day I was going back to boarding school. Nowadays, I love the month because it ushers a new period in my life when I am trying out new things, pushing myself more. No, I don’t make New Year resolutions. Yes, I make resolutions any time of year. So I will be sharing what I have learnt, what I have read, what I have seen etc in 2014, throughout the month, any day, any time. Moving on. I pray you have a beautiful end of year people! Tuko pamoja. I just used the advanced search to look for all tweets with the word “crias” from your account and can’t stop laughing. Twitter should ban this. I knew someone like you was going to do that. Lol! Have a ball, Mr! Okay December babies. We hear you. We’ll just celebrate your birthdays along with Christmas. Hihihihi. Shiku, how do you celebrate four birthdays in December? Not including all the other December expenses, that must put a dent somewhere. Hahaha. Okay. Let me go back to being nice before I lose my neck. 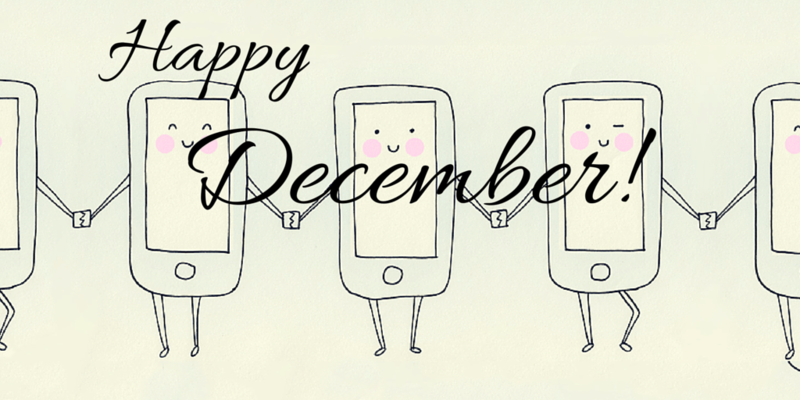 Have a wonderful month Decemberians, (oh, I just had to.) You guys do rock. It takes a whole lot of planning ahead. Hehe! Thank you Cynthia! Haha! You will definitely know about it. For now, I wait and see, and go with the flow like you!